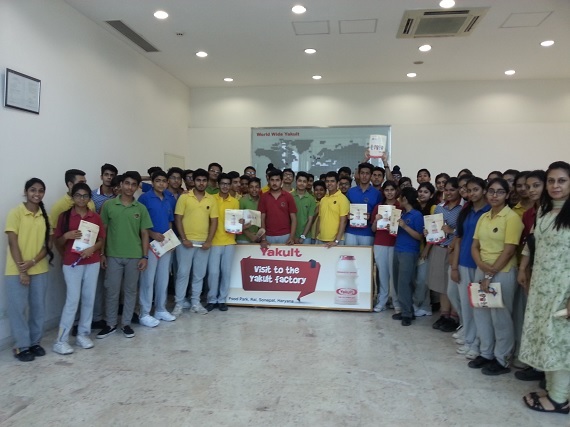 The students of class 11 visited Yakult factory in Sonepat on 22nd April’2016. The students were welcomed and a presentation was shown to the students. It was 20 min. long presentation wherein the history of Yakult, sales of Yakult, certificates Yakult is facilitated with; bacteria used in making Yakult were shown. The students were also given a bottle of Yakult to taste with Bourbon biscuits. Then the students were taken for factory visit where the students were given a detailed explanation of how Yakult is prepared. The students saw several rooms such as processing room where Yakult is filled in bottles. They were shown several machines and were told about their mechanism and their storage capacity. 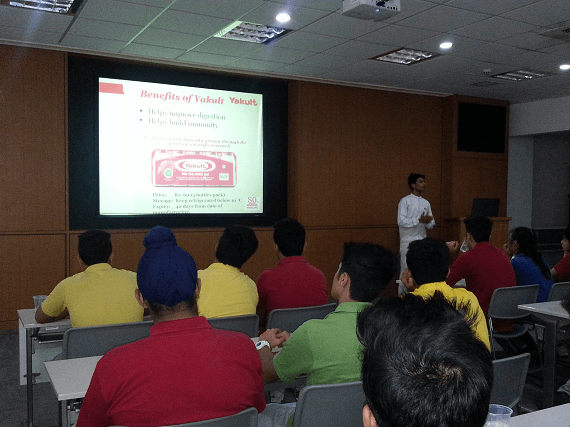 The students were also enlightened that about 11 Lakhs Yakult bottles are produced in a day. 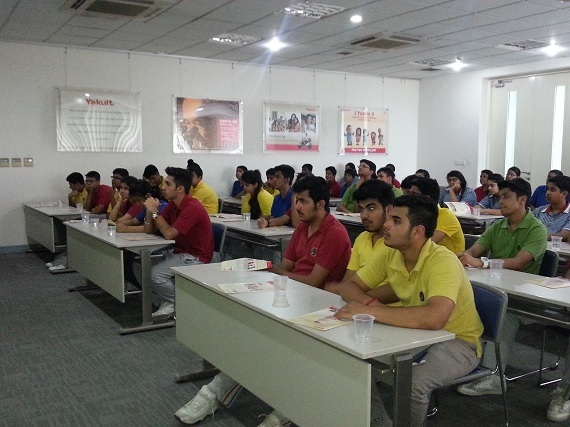 The students were told about the ingredients in Yakult, safety measures taken in the factory, etc. Students had a good time there where they learned several new things. In the last students also saw the different flavours of Yakult severed in different countries such as low sugar, high fibre, etc.